With all the information we have on health and wellness these days, it’s shocking to think about the state of the human body. More people than ever are overweight and out of shape, and our diets continue to decline rapidly. Obesity rates are as high as they have ever been, yet we know more about taking care of ourselves than ever before. And there is some pretty good advice out there about how to get started changing your life. One of the most popular ways people ease into exercise and healthy lifestyles is by taking an exercise class. Yoga, with all its wonders and benefits, continues to be on point when it comes to healthy lifestyle trends. But if you haven’t tried it yet, it’s time to get out from under that rock and get yourself a yoga mat. While it might seem intimidating to walk into a classroom full of fit men and women to try your hand at Yoga, the thing you should know is that nobody is going to be watching you. So if you fall over, trip, or lose your balance, the only person who is going to see it is the instructor. And they’ll offer you a great deal of help to get you off on the right foot. 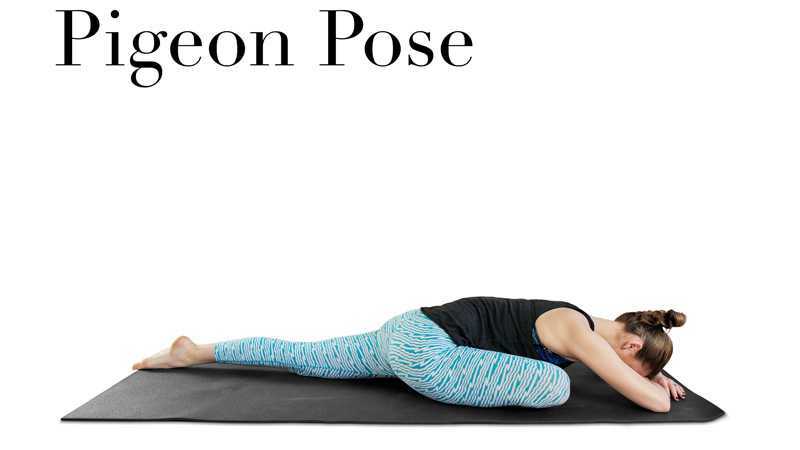 Making awkward poses might not seem like the best way to get in shape, but the reviews have been coming in for eons now, and people still love what Yoga does for the mind and body. What’s great about Yoga is that although you can register for classes with other people, you can also engage in your own practice in the comfort of your home. With so many videos and instructional aids online, it is easy to get started in your family room without the fear that might come along with attending a crowded classroom. Still though, even if you decide that classroom instruction is the way to go, you can rest easy knowing that there is no prize for being the best Yoga student. Everyone works at their own pace, and a good Yoga instructor will encourage students to find their own practice and do versions of poses that are right for them. Talk about a flexible exercise routine! We all have our excuses for why we don’t exercise, but a popular one that leads people to believe they don’t have time to engage in exercise is they are too busy. Now, that is not to say that you aren’t busy. You might have every second of your day scheduled out, and you hit timings like a champion. But, come on. You do have some time in the day. What about your lunch hour? What about first thing in the morning? What about before you go to bed? Good news: Yoga can be done any time of day in any location. You can even do it outside! So really, what’s your excuse? At the start of your Yoga adventures, you might not be thinking about what life looks like as an experienced Yoga student. But what’s great about Yoga is that you can increase your strength and flexibility over time, and really make your practice something unique to you. Plus, let’s be honest: you can do everything on your back if you want to – there are so many options. But if you are someone who likes to challenge themselves and strive for improvement over time, Yoga is a great way to challenge and push your body in new ways. You could do Yoga every day of your life and never have the same experience twice. It should come as no surprise to you to hear that Yoga is something anyone can do. Elementary schools have introduced it into their physical education classes for children to learn, senior citizens who attend senior centers or have home aids visit them under the CDPAP plan do Yoga, and there are even new mom and baby Yoga classes. It’s the kind of exercise everyone can get into because it’s such a personal form of exercise. There are no rules. So the next time you are sitting around feeling sorry for yourself because you’d like to exercise but don’t know where to start, consider taking up Yoga. It’s affordable, accessible, and you can do it anywhere with anyone. What’s not to love about that?